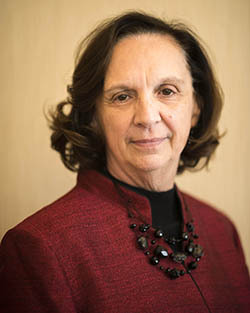 Nancy Fair-Szofran is the college district’s provost and chief learning officer, a position she will return to following this temporary assignment. She joined CCS in 2012 as the provost. Prior to that, she was the interim library dean and vice president of research, planning and institutional effectiveness at Mt. Hood Community College. Feldman joined SFCC in July 2017. Feldman previously served as the dean of science, engineering and mathematics at Linn-Benton Community College in Albany, Ore. After working in the entertainment industry, Feldman returned to school in his thirties and completed a Ph.D. in geology from Florida State University. He has more than 19 years combined teaching and administrative experience at Linn-Benton and at Luna Community College in Las Vegas, New Mexico. In addition to his leadership in education, Feldman also served on the Las Vegas City Council for four years. Prior to her current position as interim vice president, Davis Jones served as the SFCC dean of students for seven years. She has nearly 20 years of experience working at various community and technical colleges with 16 of those years focused on developing, restructuring and implementing successful student services-related programs with an expertise in academic advisement systems. Davis Jones also serves as faculty for the National Academic Advising Association’s (NACADA) online eTutorial classes through Kansas State University. When she is not in the traditional classroom, she is facilitating workshops, conducting presentations and/or spending time researching and writing that includes serving as reviewer/Editorial Board member for NASPA’s Journal About Women in Higher Education. She earned her doctorate in education at the University of North Texas.